After stormy days came rainbow. It's been raining here like mad and so often you can see rainbows, just have to look up. Maybe it was spring coming or cold rainy days, but I was craving pink. So I plaid with pink eyeshadows, blush and lipstick, but I didn't want to stop and I got my oldie but goodie coat out. I probably have to try to switch my bag to other, believe me I have tried. But I keep reaching for this. It seem to go with everything. You coat is so cute, I love the color and how it matches with your purse! OMG! These pics are so pretty, babe! 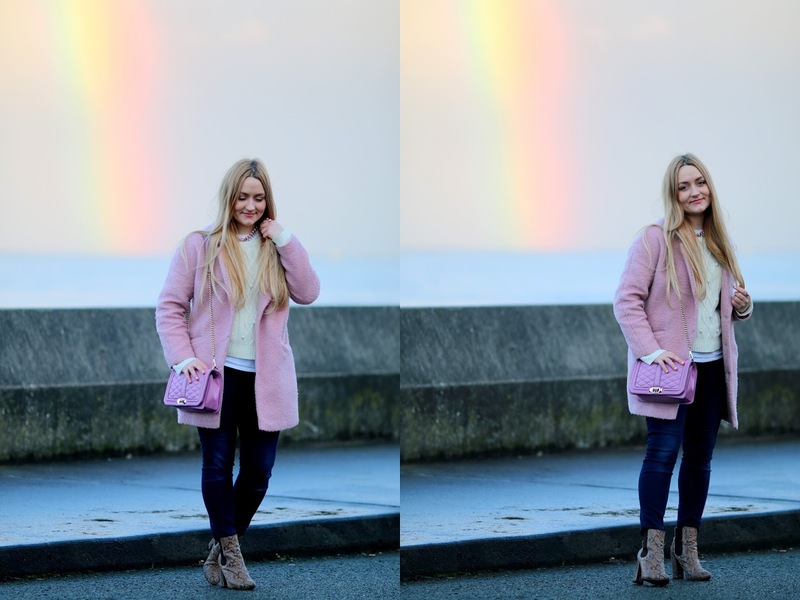 Love the rainbow in the background--it totally goes with your coat! In the year of 2017. People around me suddenly begin to hang out with high waist dress.I'm feeling curious and suspicion at the moment:"Is this a thing now? "And here's my thoughts after research and the dress that I bought. Lovely shooting dear! is so sweet that place combined with pink fur coat! Lovely photos! Your pink coat is so fun. Cute outfit! Love that coat! How perfect and whimsical does that rainbow looking gracing you, these photos are so beautiful! I also love your outfit, that coat is so pretty and I adore the bag and boots, too! Thanks for sharing, beauty, and I hope you're having a great day so far! 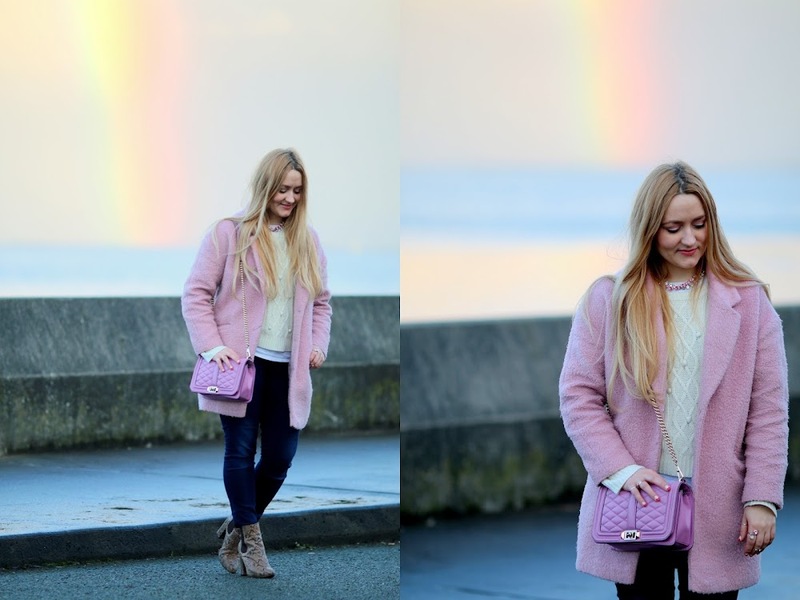 Oh these photos are just perfection and you know I love your beautiful bag and outfit! Wow! What an amazing outfit! I really like your coat! The photos are amazing. Love your style.